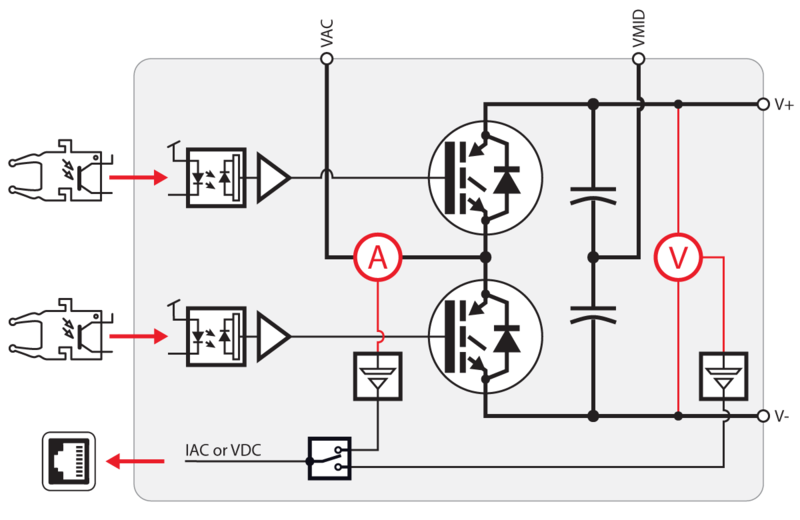 This way, when building converters, the only missing elements are the inductive components, whose sizing always remains tightly linked to the application. The modules contain everything you need to start working right away (sensors, logic, cooling,…). Combined with the BoomBox controller, they form a truly plug-and-play solution. With these elementary building blocks, you will be able to build any converter topology in the blink of an eye. What’s more, you can reuse the same modules among multiple projects to save time and money. The PEB series consists of semi-industrial modules with excellent switching and conduction characteristics. This makes them a perfect choice for demanding laboratory applications or pilot systems where power is key. 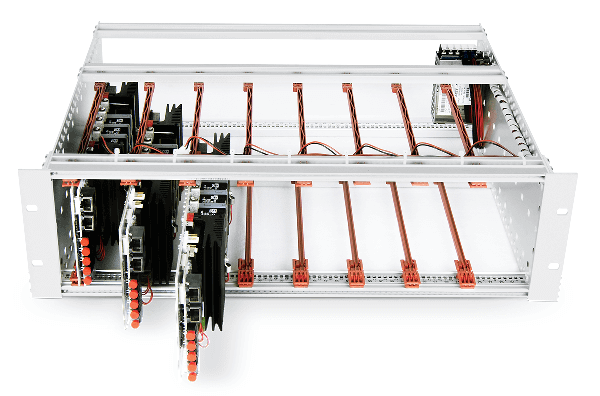 The PEB modules are designed with large margins to keep you safe. With over-sized semi-conductors, they are the trustworthy and loyal companions for any ambitious and early experiment. 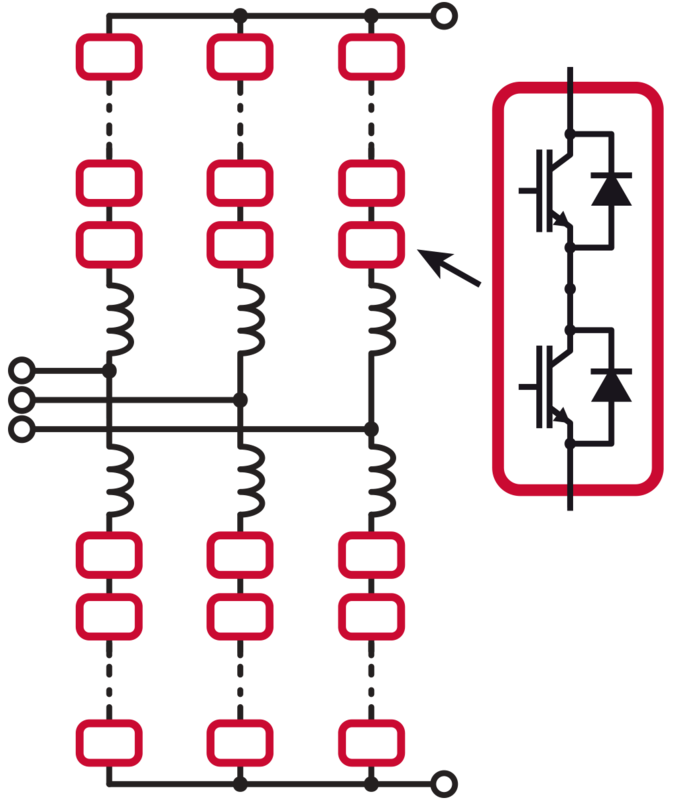 Basic use case scenarios of converters built with PEB power modules. 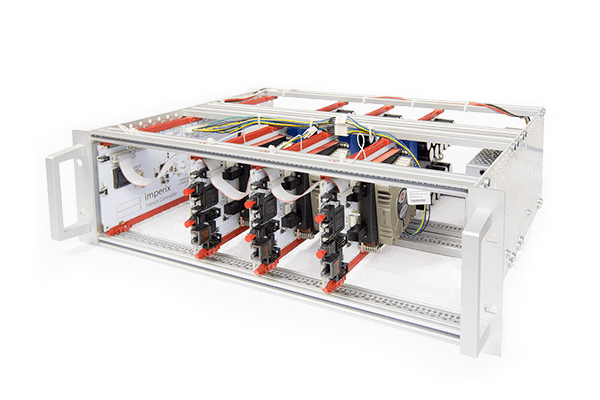 For those who appreciate the corresponding ease, imperix can provide pre-assembled chassis with power supplies and various other features. This way, modules remain easily accessible and can be easily put in (or taken out) of the chassis, hence facilitating topology alterations. 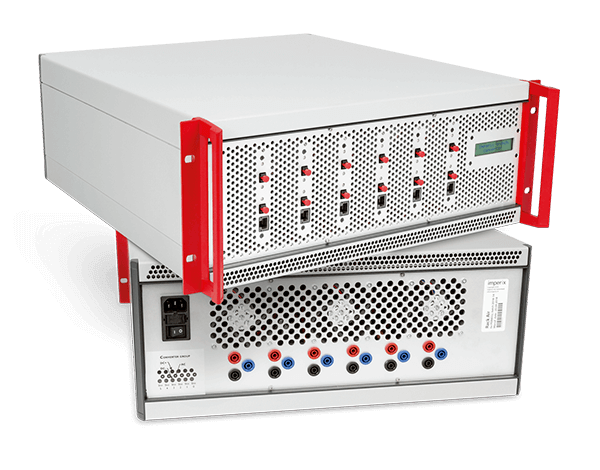 PEB modules can also be placed within a 4U enclosure that guarantees that no dangerous voltage can ever be reached, except using 4mm laboratory safety plugs. 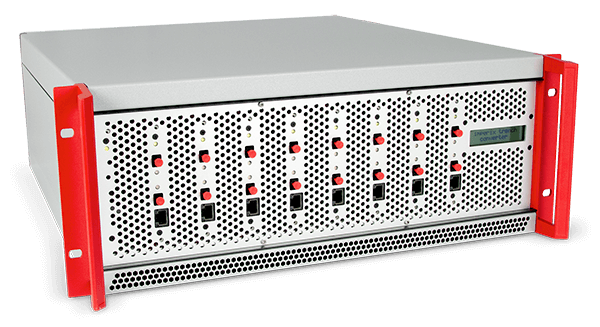 In 4U enclosures, imperix implements the same sideboard controller as for the 3U chassis, which here also comes with an LCD display.